WESTBROOK — The City Council gave preliminary approval Monday for Saccarappa Park to be used as a construction staging area while work is done over the next two years to remove the Saccarappa Dam and construct two fish passages. The agreement, if passed at second reading April 22, would give Sappi and its contractor the temporary right to use the space between May 1 of this year and May 1, 2021, the deadline for work to be completed. It could end earlier if the work is completed before then. City Administrator Jerre Bryant said in compensation for using the space, Sappi has offered to make a $3,500 donation to Westbrook Arts and Culture to help the group bring more sculpture into downtown. Councilor Mike Foley asked why something more wasn’t sought in terms of compensation. Bryant said the city suggested the arts donation and Sappi agreed to it. Bryant said at the conclusion of the project, Sappi is obligated to restore the park to its pre-use condition or better. The property has been used in a similarly twice before, during the construction of the new Bridge Street bridge and construction of the River Walk more than 15 years ago. WESTBROOK — The Presumpscot Regional Land Trust has released a new map showing the water quality over the last decade at sites along the river in Falmouth, Gorham, Portland, Standish, Westbrook and Windham. The Presumpscot River watershed covers much of Greater Portland and is the largest freshwater input into Casco Bay. It also serves as a recreational resource for paddling, swimming and fishing. Over the last 10 years than 150 volunteers have collected water samples at 40 sites along the river, testing for E. coli and dissolved oxygen. The findings and the trends, as well as the interactive map can be found at www.prlt.org/water. The state “uses this data to identify rivers and streams that do not attain state standards and works with partners to develop restoration plans that address potential water quality problems in the watershed,” PRLT said. CASCO — The Sebago Lake Anglers’ Association will host a Veterans Fishing Day out of Sebago Lake State Park May 8. Festivities will start at 7 a.m. with a “Meet the Captains” kick-off gathering with coffee and doughnuts at the park’s main boat launch area. Participating vets will be paired with the captains of private boats for a morning of fishing Sebago Lake. The boats will return to the park for a barbecue lunch about noon. Call Bob Chapin, 655-1028 or 571-217-1700 for additional details and to sign up. At least one boat will be equipped to accommodate wheelchairs. PORTLAND — Maine Job Corps is holding information sessions for those 16- to 24-years old who are interested in free training for automotive, welding, health care, electrical, culinary art and other careers. Housing and meals are included at no cost, and job placement is offered once the program is completed. Call or text Sarah MacAlister at the Portland Job Corps Office, 631-1453, for presentation times and locations. 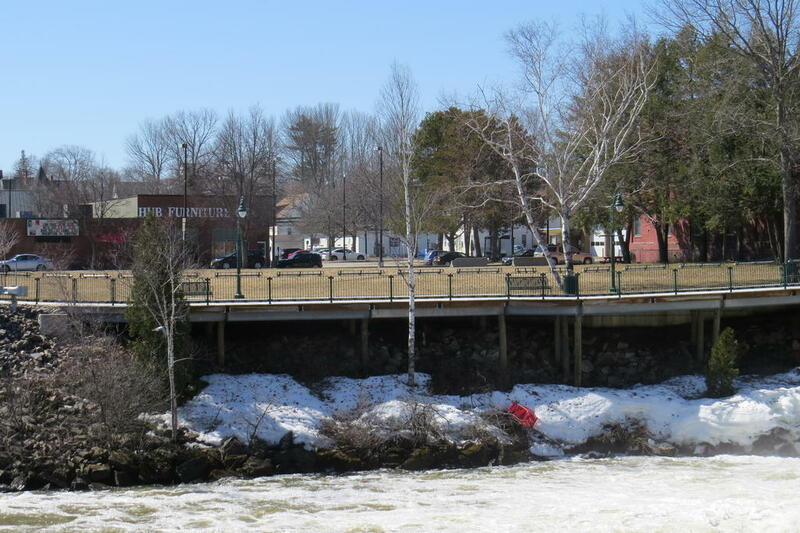 The Westbrook City Council has given preliminary approval for Saccarappa Park to be used as a construction storage site during the dam removal project that is expected to take up to two years.